I’m off tomorrow morning for California and The Price Is Right!! But before I go, here is an amazing recipe for the weekend. When I did my race a couple weeks ago we stopped by Sprinkles Bakery and I tried these delicious creations. Don’t hold this against me, but normally, I don’t see what the big deal is about cupcakes. Give me pie or cheesecake, but typically cake just don’t do it for me. These babies are amazing though! 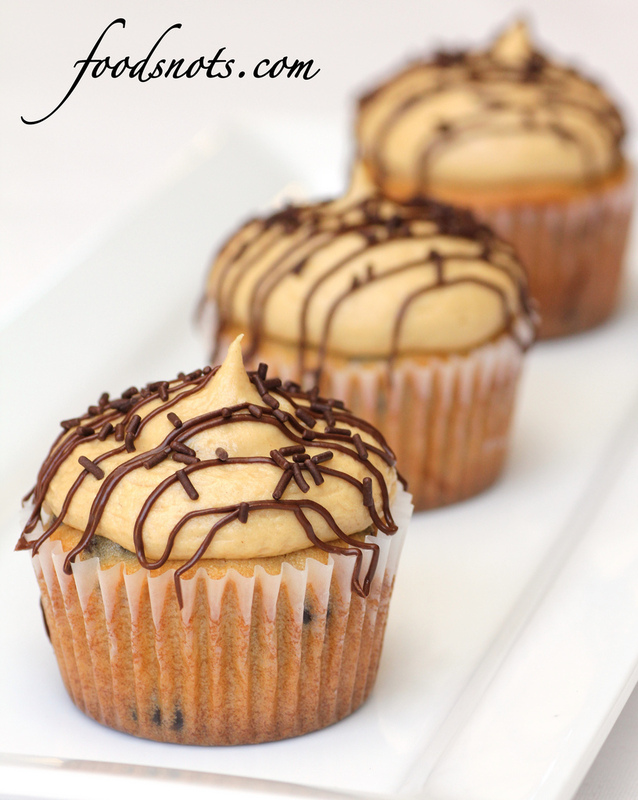 You have to like peanut butter, obviously, cause there is a ton of peanut butter that goes into these cakes. 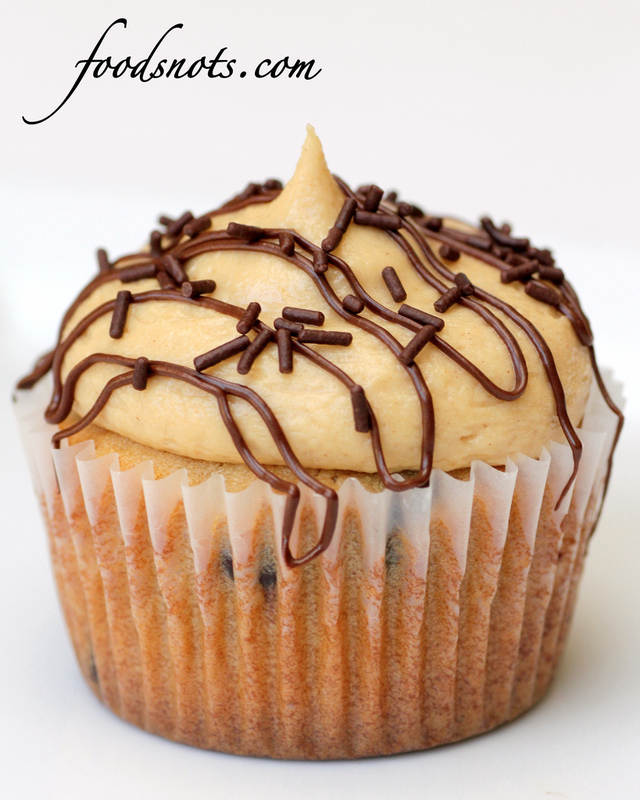 But basically, this is a super moist peanut butter cupcake, with chocolate chips, and peanut butter frosting. I added the additional drizzled chocolate on top cause I felt like these cupcakes needed just a bit more chocolate. But they are amazing!! My most favorite cupcakes ever! Enjoy, have a great weekend, and wish me luck!! P.S. When making the frosting, I had to add about an extra 2 cups of powdered sugar to bring it to the consistency I wanted. You don’t have to do this, and it’s not the way the original recipe says, but I felt like the frosting just wasn’t thick enough. So don’t be afraid to add a little extra powdered sugar to bring the consistency of the frosting to where you want it. Combine milk and vanilla in small bowl. Combine flour, baking powder and salt in another small bowl. Beat Butter and sugars in mixer until light and fluffy. Add eggs and blend until smooth. Slowly mix in peanut butter. Add half the flour mixture and blend slowly. When fully incorporated, add milk mixture. Continue to blend slowly. Add remaining flour mixture and mix on low speed just until incorporated. Scoop into 12 lined baking cups. Bake for about 22 minutes, or until tops spring back when lightly touched and the edges are golden brown. Combine sugar and salt in a bowl. Combine milk and vanilla in another bowl. 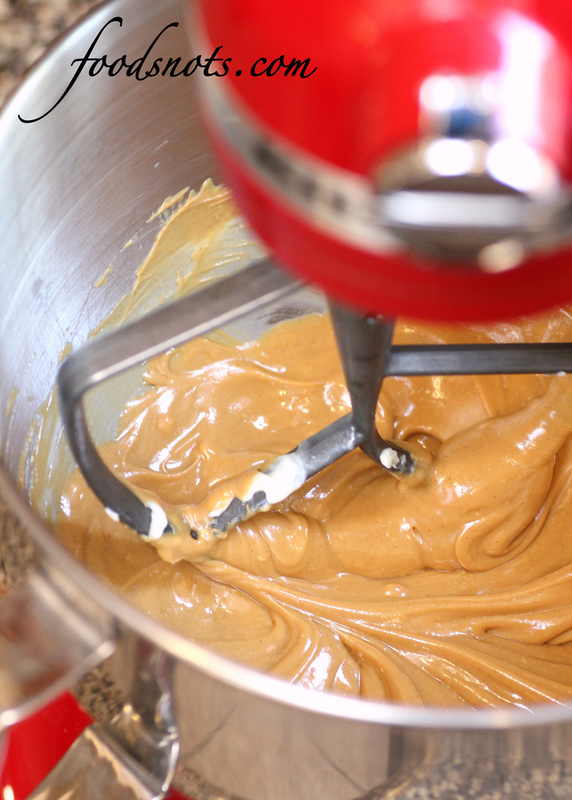 Add butter and peanut butter to mixer. Alternately add sugar and milk mixture until fully incorporated. Add additional milk ONLY if needed for a softer consistency. You can also add additional powdered sugar if you need to make your frosting thicker. You want your frosting to resemble this consistency. Frost on top of cooled cupcakes. If desired, pipe melted chocolate on top of frosting and add chocolate sprinkles before chocolate has set. For Cupcakes: Preheat oven to 350 degrees F. Combine milk and vanilla in small bowl. 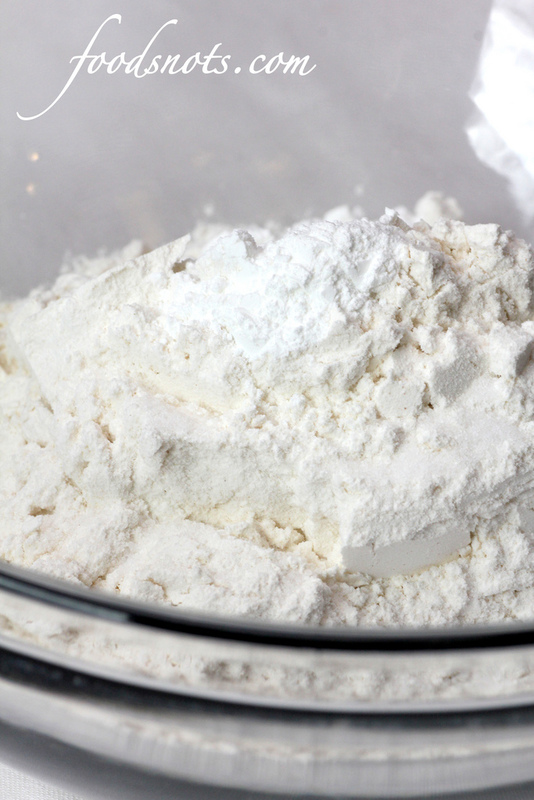 Combine flour, baking powder and salt in bowl. Beat Butter and sugars in mixer until light and fluffy. Add eggs and blend until smooth. Slowly mix in peanut butter. Add half the flour mixture and blend slowly. When fully incorporated, add milk mixture. Continue to blend slowly. Add remaining flour mixture and mis on low speed just until incorporated. 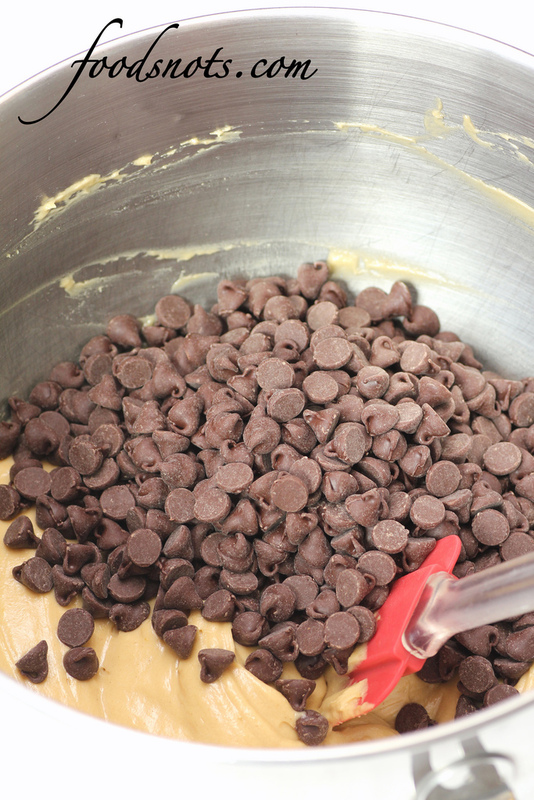 Add chocolate chips and fold in by hand. Scoop into 12 lined baking cups and bake for about 22 minutes, or until tops spring back when lightly touched and the edges are golden brown. For Frosting: Combine sugar and salt in a bowl. Combine milk and vanilla in another bowl. 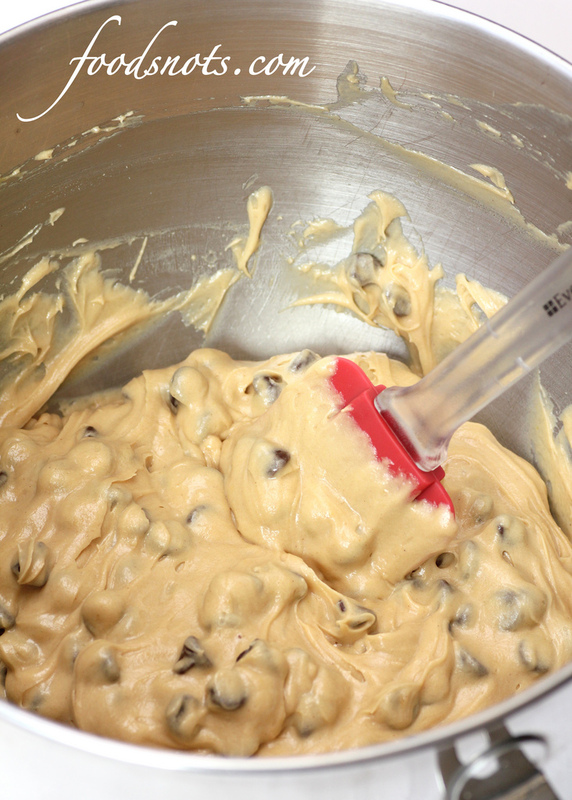 Beat butter and peanut utter in mixer until smooth and creamy. Alternately add sugar and milk mixture until fully incorporated. Add additional milk ONLY if needed for a softer consistency. You can also add additional powdered sugar if you need to make your frosting thicker. Frost on top of cooled cupcakes. Drizzle melted chocolate over frosting if desired.